Sharon Spencer is a 51-year-old, single mother who battled breast cancer at the start of her 40th birthday, underwent a mastectomy, suffered a devastating car accident that caused her to lose her right leg and went through 22 surgeries—nevertheless, she persisted. As an amputee, cancer survivor, and Barclays Center Guest Services employee, NBA commissioner Adam Silver honored Spencer with the annual NBA Values of the Game Award—an award given to one person who exemplifies the values of the league. During an interview with the NY Post, Brooklyn Sports & Entertainment CEO Brett Yormark, who nominated Spencer for the league honor said “Sharon has overcome so many obstacles in life but continues to come in with a smile, diligence and a work ethic that you very seldom see. 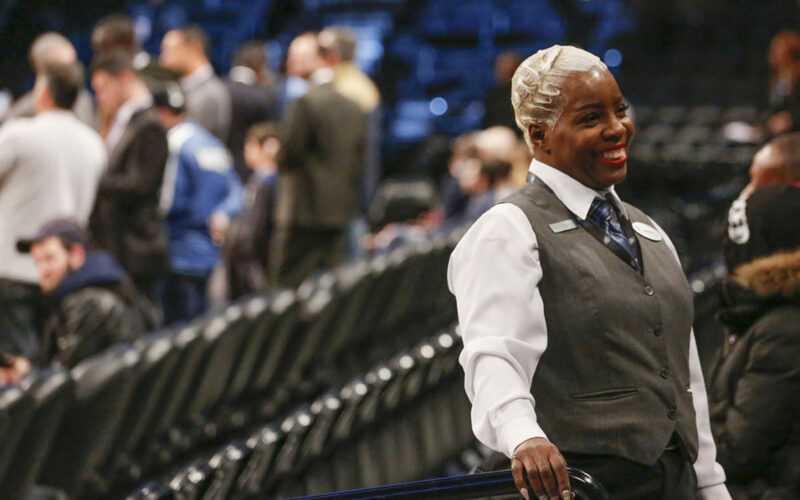 For the fans who sit in Sharon’s section at Barclays Center, she has become synonymous with the game experience,” he continued. While many people would say you need to find the strength to bounce back from a crisis—sometimes getting through life’s ups and downs is more about playing the cards that you’re dealt and moving forward. We caught up with Spencer to gather some insight into how to cope with major life changes. “After a hysterectomy in February of 2006, I had my first mammogram. Sad to say I was diagnosed with breast cancer. I was devastated. I had a mastectomy in December of 2006 followed by chemotherapy in February of 2007. My son Aaron was away at Syracuse College and depended on me. 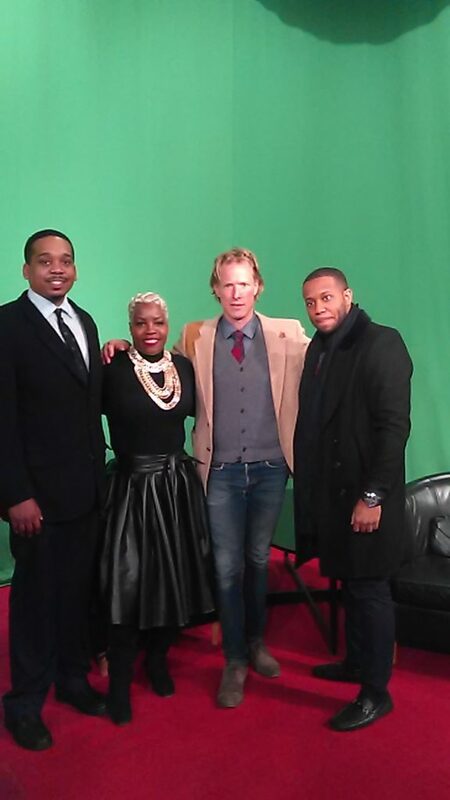 After the treatment (cancer free) I returned back to my music-publishing job of 21 years. On July 26th of 2008, I was in a terrible car accident caused by a drunk driver causing me to lose my right leg (above the knee). After my accident, I feared that I would not be able to adapt to my new life and I would never be able to work again. My three sources of strength were GOD, my family, and my therapist. I had to do it for myself and for my son Aaron who always looked up to me for strength.